This week, FWT athletes hungry for crucial points in the world title race will descend on the majestic Pyreneen peaks of Andorra, kicking off the European leg of the five-stop 2018 season. 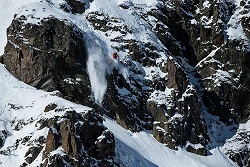 Local pro and Andorran freeride ski hero Dani Fornell-Prat (AND) will receive the local wild card and join the current roster of top freeriders. Following two action-packed competitions in Kicking Horse, Golden, BC, Canada, momentum is soaring as the FWT competitors begin to hone in on the road to the Grand Finale in Verbier in April. 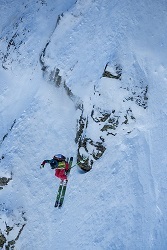 With Russian Ivan Malakhov and Arianna Tricomi from Italy there two new leaders in the ski freeride competition. 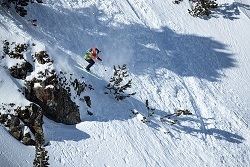 Leo Slemett (FRA) and Lorraine Huber (AUT) are in charge to improve their performance in Andorra to reach the big finales in Verbier and still have a chance to defend their titles. The Snowboard men and women competitions also got new stars in a leading position: Davey Baird (USA) and Wakana Hama (JPN). Will they be able to continue their run and succeed against 2017’s champions Sammy Luebke (USA) and Marion Hearty (FRA)? The next stage in Andorra will tell us more! Teaser – Freeride World Tour 2018 | Vallnord-Arcalis (AND) from World of Freesports on Vimeo. This entry was posted in Adventure, Events, Global News, Ski, Snow, Snowboard, Travel, Video by admin. Bookmark the permalink.